Was Nancy Pelosi escorted out of the White House after showing up too drunk to speak? No, that's not true. The story was published by a liberal satire website that tries to educate gullible Trump supporters and Republicans about the need to actually click and read links before sharing or liking them in order to avoid being embarrassed by fans of the site later. All the events described in the article are not real. "Nancy came in and tried to say some things but just kept making that face. And there was like...this clicking noise. Then she fell down and it looked like maybe she peed a little. Secret security was all over her right quick and them guys tossed her like a bad habit." This exclusive picture is all the proof we need to end her career. The entire story is satirical which can be deduced from the category it was published under: "Pelosi Satire with Chile Sauce and Liquid Cheese". 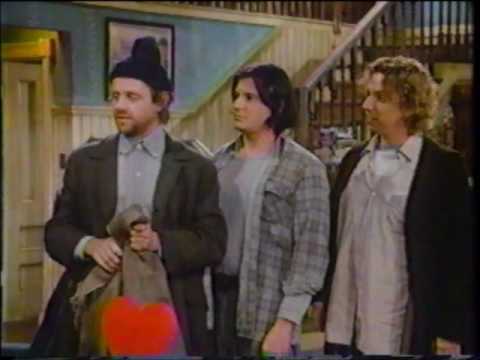 The link under "both senior aides" pointed to an image showing a screenshot from the nineties sitcom Newhart which had characters named Larry and Darryl. That didn't stop the story from being copied by various websites that removed the disclaimers, hints and links and presented it as real.